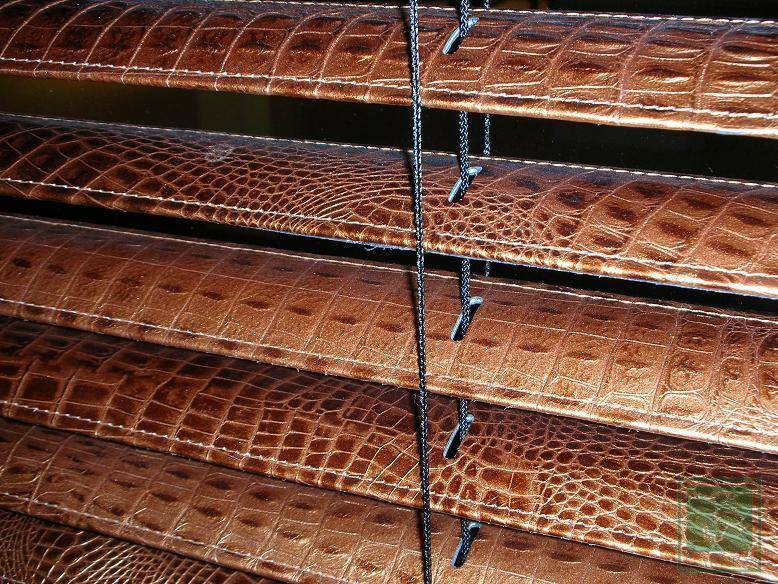 Arexim Garden is a manufacturer of leather blinds 50 mm. 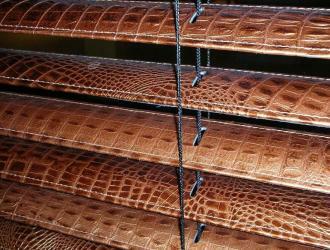 Leather blinds are suitable for living-room, kitchen, bedroom, restaurant, office, hotel. 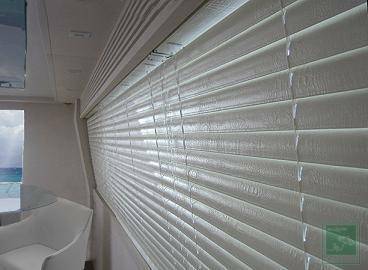 Leather blinds are produced in variant venetian blinds with a leather slat thickness 50 mm. 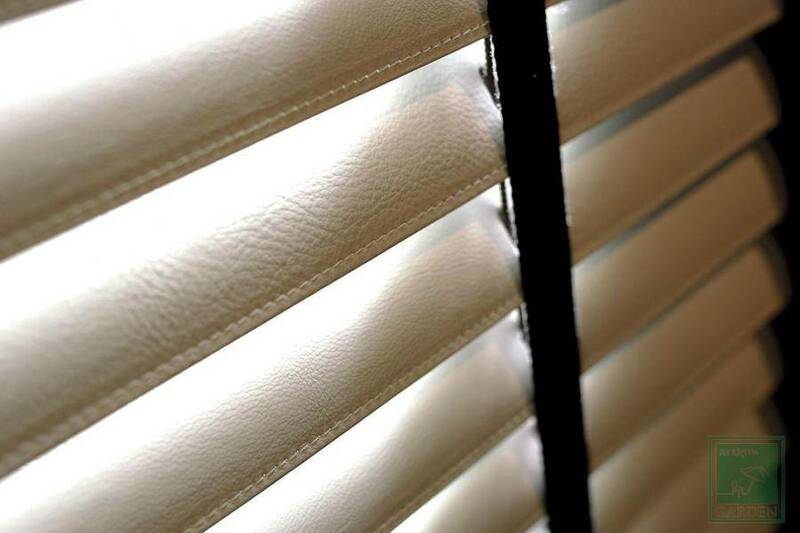 The leather slat is produced of artificial leather that covers an aluminium rollformed slat 50 mm. 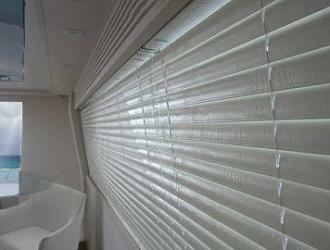 Leather blinds can be produced in variant with a motor and a remote control.